The Microsoft Surface Pro 3 tablet will go on sale in the U.S. later today, and now Microsoft has released a software update for the tablet, ahead of the official launch. According to Mary Jo Foley, the new software update fixes an issue relating to power problems on the device, it also comes with some overall performance improvements. 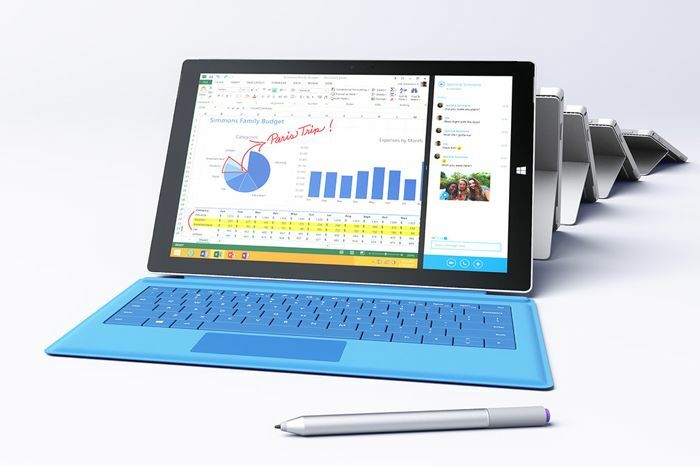 The new Surface Pro 3 tablet comes with a 12 inch display that has a resolution of 2160 x 1440 pixels, the device comes with a choice of Intel Core i3, i5 and i7 processors. Other specifications on the new Microsoft Surface Pro 3 tablet include a choice of either 4GB or 8GB of RAM, plus various storage options from 64GB up to 512GB. This new Windows tablet also features a 5 megapixel front camera and a 5 megapixel rear camera, the device comes with 802.11 a/b/g/n/ac WiFi and Bluetooth 4.0 LE. prices for the tablet start at $799, and the top model will retail for $1,949. We presume that the first software update will be released as an automatic update to the Microsoft Surface Pro 3 tablet. If you get one of these new tablets today, leave a comment and let us know if the update is available when you turn your device on.